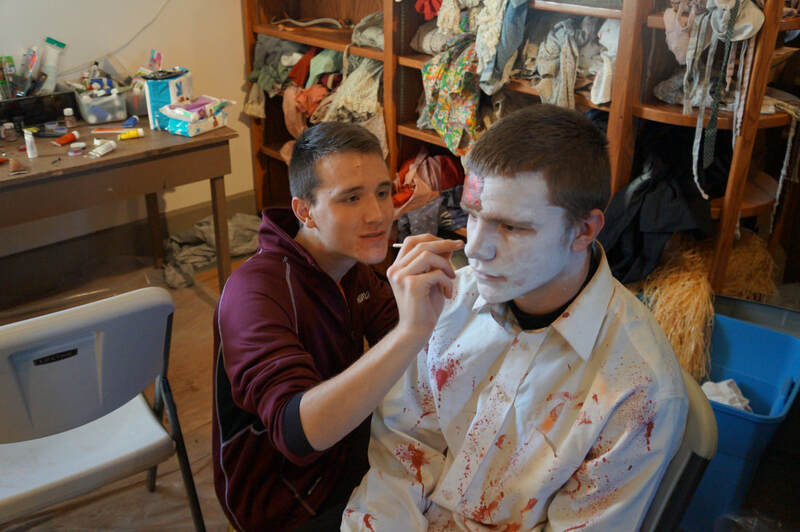 Join the coolest and scariest volunteer crew in Bismarck-Mandan at the Haunted Fort. Volunteer any night of the Haunted Fort - earn a free ticket to the event and also have a ghoulish fun time! Signup Today! 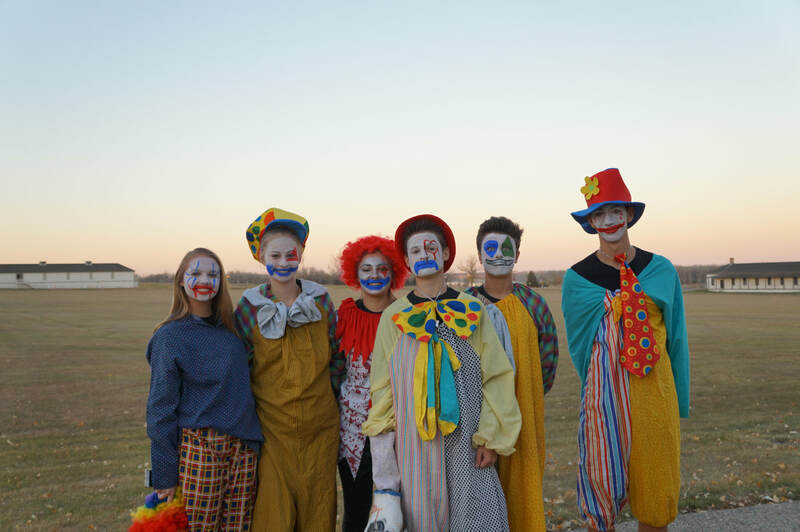 Join the scariest volunteer event in the Bismarck-Mandan Area!! 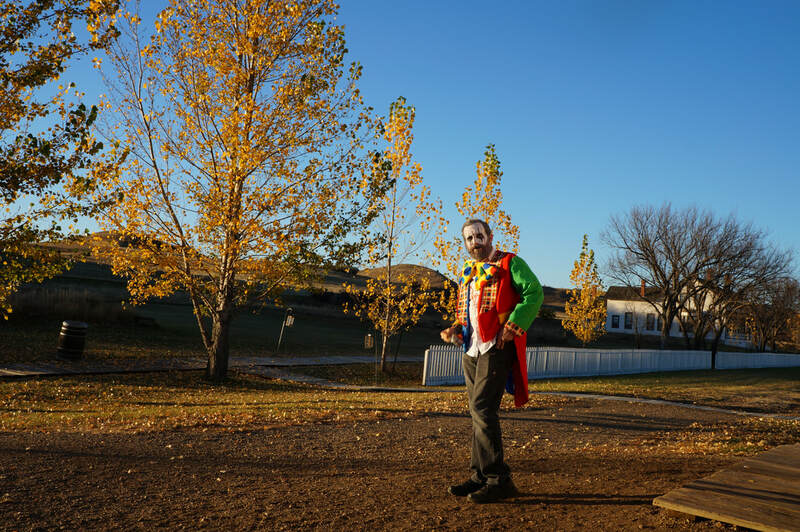 Fort Abraham Lincoln State Park, Party America, and the Mandan Progress Organization invite you to be an integral part of the largest haunted attraction in North Dakota! Haunted Fort is one of the largest events hosted in any North Dakota state park. 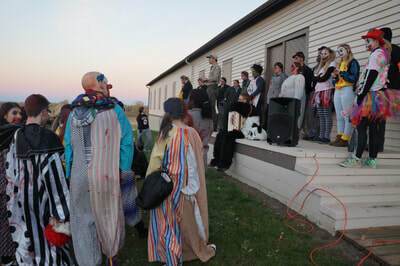 We see all ages witnessing the true terror at the Haunted Fort. Why? Fort Abraham Lincoln has long been recognized among the ranks of haunted places in North Dakota. 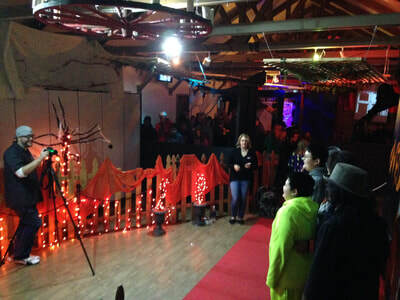 It provides just enough atmosphere…a retreating footstep here, a fading whisper there…to make the ever-growing sub-culture of paranormal enthusiasts emphatically declare the place to be a haven to phantoms, ghouls, spirits, lingerers-on, or any other name by which a ghost may be called. 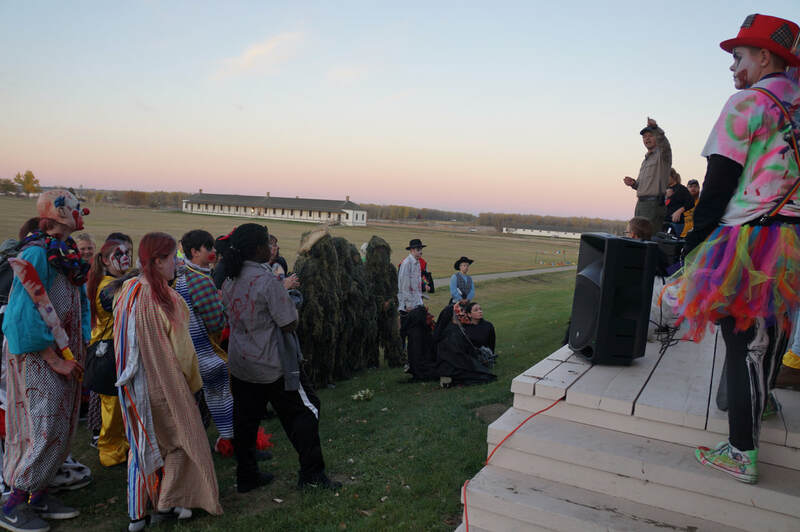 Every October and early November at Fort Abraham Lincoln State Park’s Haunted Fort we terrify the innocent and play with the minds of hundreds of souls entering the gates of Fort Abraham Lincoln, and we want your HELP!!! Fridays, and Saturdays and also on Halloween night the volunteer hours are from 6 PM to approximately midnight. Thursday evening the volunteer hours are from 6 PM to approximately 11 PM. Halloween Kids Bash the volunteer hours are from 12 PM to 4:30 PM. - When arriving at the state park please notify the park staff at the entrance gate that you are volunteering for the event. Parking is available at the far West of the parking lot. - Each day you volunteer you must check in at the Staff Center in the Commissary at the state park when you arrive and depart. Please enter through the West door of the Commissary. - Volunteers must adhere to all park rules and regulations. - Volunteers must obey all park staff safety requirements. - Volunteers may be placed in dark areas with lots of light effects and fog machines. Please let us know if you have concerns or issues regarding this type of placement. - For your comfort, bring warm clothing. Some of the park buildings are heated but not all of them. - Bring a mask and dress in all black clothing. Please wear comfortable shoes. No sandals or open toe or open heal shoes allowed. We ask you keep with the all black theme and do not wear white or colored footwear! - Also recommend you bring a water container or bottled water. Some buildings do not have running water in them. 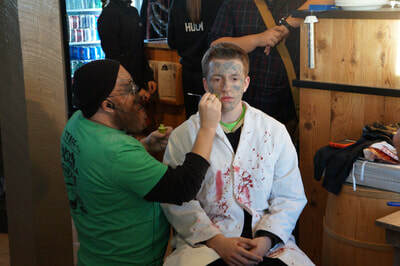 All volunteers must have some form of identification in order to check in for the event. Haunted Fort wants to allow all ages that have a sinister interest in Halloween be allowed to work in the haunted houses to enjoy an experience in volunteering at this event. Because of the nature of the event, we do have some age requirements. Volunteer under the age of 18 MUST have their registration signed by a parent or guardian. 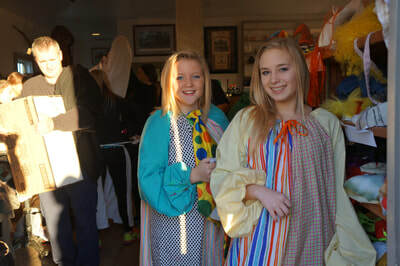 Volunteer under the age of 14 MUST also have a parent or guardian with them at all times of the event. One free pass for you to attend the event at later date after working 6 hours or more. Free food and refreshments will be provided to the volunteers each evening. Breaks will be given throughout the volunteer’s time at the event.